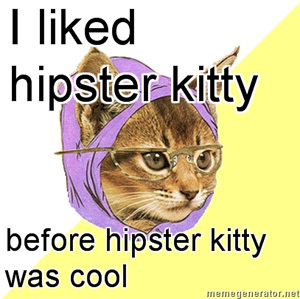 Submit a hipster kitty photoThanks to Cayley C. for the photo. 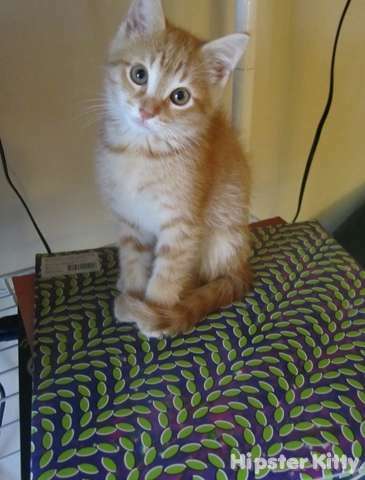 This kitty was posted on Thursday, December 2nd, 2010 at 1:17 pm	and is filed under Kitty Music Scene. Name that album for six hipster stars? 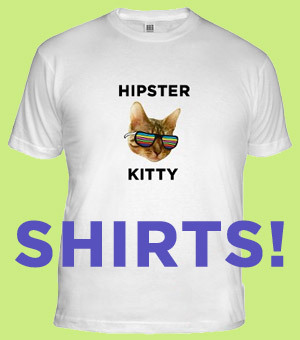 if not, you utterly FAIL at captioning. Merriweather Post Pavilion, by Animal Collective you beta lamestreamers.